‘Another Man Will,’ ‘Middle School,’ More on Home Entertainment … plus giveaways! ANOTHER MAN WILL. (DVD Artwork). ©Image Entertainment. 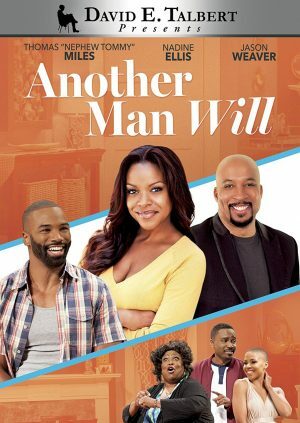 Kicking off the new year, David E. Talbert’s “Another Man Will” makes its DVD Debut Tuesday Jan. 3 from RLJ Entertainment. Starring Nadine Ellis (“Let’s Stay Together”) and Thomas “Nephew Tommy” Miles (“The Steve Harvey Morning Show”), the romantic comedy follows Joe and Cynthia Scott, a married couple that has spent nearly two decades together. After falling into the predictable routine of a lackluster relationship devoid of excitement and adventure, Cynthia seeks a change that Joe seems unwilling to accept. When a handsome young suitor begins to offer Cynthia the attention she craves, Joe receives the wake-up call he never knew he needed. Featuring returning fan-favorite stars Logan Bartholomew (“The Ultimate Life”), Lee Meriwether (“The Ultimate Gift,” “The Ultimate Life”) and Golden Globe winner Brian Dennehy (“The Ultimate Gift”), “The Ultimate Legacy” also stars Myko Olivier (“Castle”) and Ali Hillis (“Must Love Dogs”), along with performances by veteran actors Raquel Welch (“Fantastic Voyage”) Doug Jones (“Pan’s Labyrinth”) and Bill Cobbs (“Night at the Museum”). Directed by Joanne Hock (“Trinity Goodheart”) and produced and written by Rick Eldridge (“The Ultimate Gift”), “The Ultimate Legacy” continues the journey of Jason Stevens (Bartholomew), who learns firsthand the value of teaching. Jason must provide guidance to a self-absorbed young man, Joey Anderson (Olivier), who is forced to run his family’s bed-and-breakfast for a year before earning his inheritance in his late grandmother’s will. As part of Joey’s journey to purpose, he is challenged to grow a conscience and learns to appreciate hard work, forgiveness, generosity and the enduring value of family and friends. Fans can also enjoy the full soundtrack, releasing Jan. 6 from Varese Sarabande Records. The New York Times best-selling series by James Patterson breaks all the rules when “Middle School: The Worst Years of My Life” arrives on Blu-ray (plus Digital HD), DVD, and On Demand Tuesday Jan. 3 from Lionsgate and CBS Films. (It also is available on Digital HD.) This family-friendly comedy stars Griffin Gluck (“Batman vs. Robin”) alongside Lauren Graham (“Gilmore Girls”), Rob Riggle (“The Hangover”), Thomas Barbusca (“Wet Hot American Summer: First Day of Camp”), Andy Daly (“Semi-Pro”), Adam Pally (“Dirty Grandpa”), Isabela Moner (“100 Things to Do Before High School”), Isabella Amara (“The Boss”) and Alexa Nisenson (“Constantine”). Rafe (Gluck) has an epic imagination and a slight problem with authority. Both collide when he transfers to a rule-crazy middle school. Drowning in dos and don’ts, Rafe and his best friend Leo (Barbusca) hatch a plan to expose the principal by breaking every rule in the school’s Code of Conduct. As the principal strikes back, Rafe’s world, at home and at school, explodes into hilarious chaos—real and imagined. 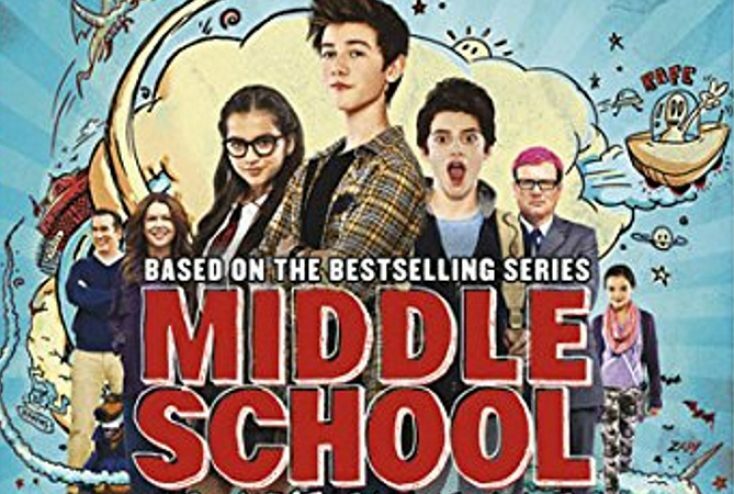 The “Middle School: The Worst Years of My Life” home entertainment release special features include four behind-the-scenes featurettes, a hilarious gag reel plus four deleted scenes, including an animated sequence. It will be available on Blu-ray and DVD for the suggested retail price of $39.99 and $29.95, respectively. “Middle School: The Worst Years of My Life” is directed by Steve Carr with screenplay by Chris Bowman, Hubbel Palmer and Kara Holden. James Patterson and Steve Bowen serve as executive producers. Nearly two decades after documentary filmmakers “vanished” in the groundbreaking “The Blair Witch Project,” an investigative team searches for them and the truth behind their disappearance in “Blair Witch,” arriving on Blu-ray Combo Pack (plus DVD and Digital HD), DVD, Digital HD, and On Demand Tuesday Jan. 3 from Lionsgate. From director Adam Wingard and screenwriter Simon Barrett (“You’re Next”), “Blair Witch” stars James Allen McCune (“The Walking Dead”), Callie Hernandez (“La La Land”), Brandon Scott (“Grey’s Anatomy”), Valorie Curry (“American Pastoral”), Corbin Reid (“Words With Girls”) and Wes Robinson (“The Genius Code”). In this long-awaited sequel, a group of college students venture into the Black Hills Forest in Maryland to uncover the mysteries surrounding the disappearance of their friend’s sister, who many believe is connected to the legend of the Blair Witch. At first the group is hopeful, especially when a pair of locals offer to act as guides through the dark and winding woods, but as the endless night wears on, the group is visited by a menacing presence. Slowly, they begin to realize the legend is all too real and more sinister than they could have imagined. The set includes more than three hours of bonus features on the Blu-ray and Digital HD, including an audio commentary with the director and the writer, the “House of Horrors: Exploring the Set” featurette, and a six-part making-of documentary, “Never Ending Night: The Making of Blair Witch.” The DVD release includes the audio commentary and the “House of Horrors: Exploring the Set” featurette. “Blair Witch” will be available on Blu-ray Combo Pack and DVD for the suggested retail price of $39.99 and $29.95, respectively. Just because the holidays are over doesn’t mean parents can’t still spend some quality time together with their kids. Front Row Features is giving away a copy of “Middle School: The Worst Years of My Life” on Blu-ray/DVD Combo Pack to three lucky families so they can sit down and watch James Patterson’s best-selling book series come to life together. To enter, simply email socalmovieeditor@aol.com by Tuesday Jan. 10 for your chance to win. Front Row Features invites you to venture back into Maryland’s infamous Black Hills Forest—if you dare. We’re giving away a Blu-ray copy of “Blair Witch,” the sequel to the groundbreaking 1999 film “The Blair Witch Project,” to one brave reader. To enter the contest, simply email socalmovieeditor@aol.com by Tuesday Jan. 10 for your chance to win. Good luck! Next PostPhotos: ‘Another Man Will,’ ‘Middle School,’ More on Home Entertainment … plus giveaways! ‘Gilly Hopkins,’ ‘Secret Agent,’ ‘Jennifer Lopez’ on Home Entertainment … plus giveaways!